Assessing your population’s health and evaluating interventions’ effectiveness. Leading subject matter experts to solve your health care challenges. Improve employee and dependent health and wellness. Evidence-based clinical interventions for employers, systems and plans. Accelerating innovation through collaborations with industry leaders. 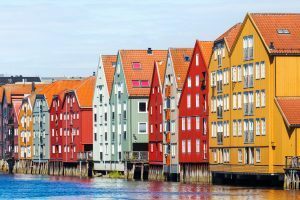 Medrave Software, along with partner Ensolution (Johns Hopkins’ Nordic distributor) have won a contract to supply their risk stratification solution to 6 hospitals and 40 primary care practices in Norway. The solution, which includes the Johns Hopkins ACG® System, will identify high risk patients and then help to manage them more effectively.